The medical malpractice lawyers at Buckfire & Buckfire, P.C. handle cases involving the failure to diagnose and treat a pulmonary embolism. A pulmonary embolism is a blockage of an artery to the lungs brought on by a blood clot. A pulmonary embolism may be caused by blood clots in the veins, especially veins in the legs, hips or pelvis. Complications from a pulmonary embolism or blood clot are caused by the resulting lack of oxygen in the blood. 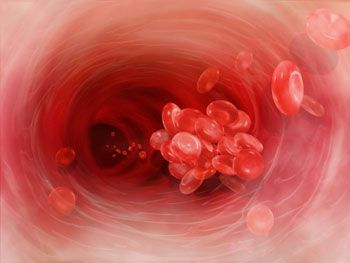 The most common cause of a pulmonary embolism is a blood clot in the veins of the legs. This condition may clear up on its own, or it may cause severe illness or even death. Prolonged bed rest or inactivity (including long trips in planes, cars, or trains) may precipitate the development of blood clots. People who have suffered leg injuries or undergone surgery are at increased risk. Certain patients are predisposed to developing blood clots and pulmonary embolisms and doctors and hospitals must be aware of those situations. Whenever a patient has certain risk factors, such as certain medical conditions like obesity, advanced age, surgery lasting more then two hours, etc., the surgeon must ensure that certain preventive measures are taken, such as tight stockings (commonly called Ted Stockings; to keep blood from pooling in the legs), sequential compression devices (inflatable leg sleeves that keep the blood moving in the legs), and/or a blood thinner (coumadin, lovinox, etc.). In, many situations, a pulmonary embolism can be prevented. In other situations, a pulmonary embolism must be recognized and treated before the patient suffers significant harm or death. These situations may give rise to a pulmonary embolism medical malpractice case if the patient suffers injury or death to the failure to prevent or treat the condition. If a patient dies as a result, this warrants the filing of a Michigan wrongful death lawsuit. These lawsuits seek compensation for the loss of society and companionship for the surviving family members. Cases also include settlement claims for loss of income and support to the family. If you or a loved one experienced a pulmonary embolism or blood clot that was not properly diagnosed or treated, you may be eligible to file a medical malpractice lawsuit. Call our award winning medical malpractice lawyers today at (888) 797-8787 and an attorney will be available to speak with you about your situation. We will answer all your questions and determine if you have a case to pursue. If you do, we will begin work on it immediately. We do not charge any legal fees at all. Your case, from start to finish, will cost you nothing out of pocket. We only receive payment once you have received your settlement check. There is nothing to lose, so call our expert legal team today to get started on your case!